- Selector plates are an important part of the gearbox's operation. - If a selector plate is misshapen or has a fouled metal plate then the semi or full auto function could be effected. - If you're having fire selector problems it may be due to a bad selector plate. - The is the stock replacement Classic Army M15 Selector Plate. 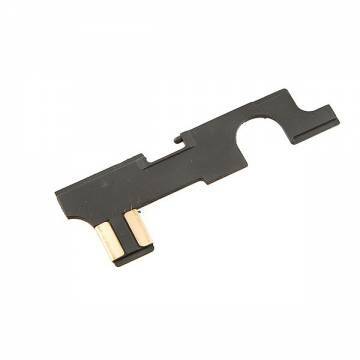 - This piece may work in other manufacturer's M15 by cannot be guaranteed by Airsoft GI.